Do you have a coffee habit but hate the way caffeine makes you feel? Are you worried about safety? If so, you may be thinking, "how is coffee decaffeinated?" After all, the caffeine is naturally occurring. As you may know, even decaffeinated coffee has some caffeine. However, the levels are much lower and may not affect you nearly as much. There are several methods available if you wish to take the caffeine out of the coffee beans. Some of the methods are non-solvent based while others are solvent-based. The solvent-based processes use chemicals to extract the caffeine. While each method is thought to be entirely safe, consumers should be aware of how their coffee comes to be before deciding on what to drink. 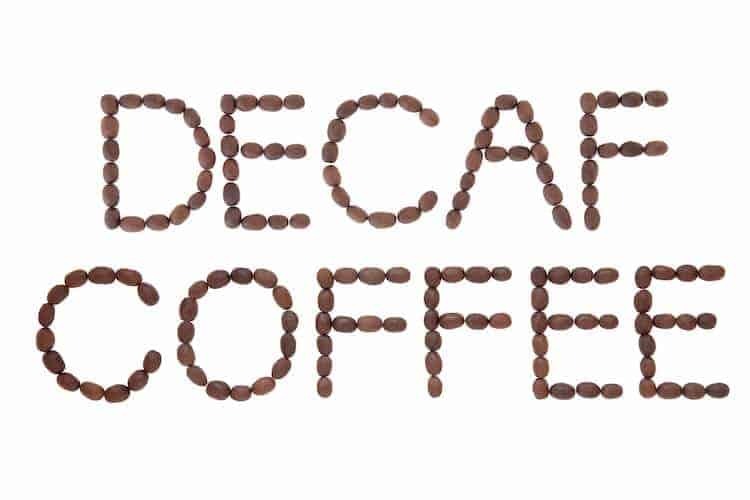 How is decaf coffee made? Let's find out! The Swiss Water Process is the first of the two non-solvent processes involved in how to decaffeinate coffee. There are no chemicals used in this practice. Instead, they rely on a system of water and filters to create flavorful beans with much less caffeine. First, the beans soak in water. During this soak, the flavor and caffeine separate from the bean itself. Of course, this first step leaves the beans without any flavor. No worries, the flavor comes back. The water from the first step is then filtered to separate the caffeine and the flavor. The beans from the first step and the caffeine are tossed aside. Then, new coffee beans soak in the flavorful water. The beans soak up the flavor and lose their caffeine to the water. The water is then run through another filter to eliminate the caffeine. This water can be used and filtered up to 10 times before starting over. Although many people love this process because of its lack of chemicals, it can be expensive to throw out every ten batches of beans. The Swiss Water Process is not the only non-solvent method for taking the caffeine out of coffee. Carbon dioxide can be used to decaffeinate coffee thanks to supercritical CO2 extraction. This clean process uses carbon dioxide supercritical fluid (SCF-CO2) to extract the caffeine. That's simply a fancy way of saying that the coffee makers put CO2 under high temperatures and pressure that give it properties of gas and liquid. The semi-liquid state makes it an ideal substance for making decaf coffee. First, they steam the green coffee beans until swelling occurs. Then, the beans are introduced to the carbon dioxide. The caffeine from the beans is drawn to the CO2 and leaves the coffee behind. However, the flavor and smell remain intact. The beans can be roasted like any other coffee. The carbon dioxide is filtered to remove caffeine. It can then be used to filter the next batch. This method has many of the same benefits as the Swiss Water Process. However, it does not waste as many coffee beans. A chemical compound known as methylene chloride can extract caffeine from coffee relatively easily. There are two methods by which methylene chloride is used to decaffeinate coffee: direct and indirect. Although some consumers may be put off by the use of an unfamiliar chemical, studies have shown that this process can leave as little as one part per million of methylene chloride in the finished product. The direct method is relatively straightforward. Methylene chloride rinses over the coffee beans and takes most of the caffeine away with it. This leaves you with a mostly caffeine-free bean that is full of the aroma you have come to love. Methylene chloride is what is called a polar molecule. That's what makes it great for an easy caffeine extraction. In the direct method, the hydrogen in the caffeine bonds with the methylene chloride. However, the flavor and bean stay behind. The indirect method is a combination of the Swiss Water Process and the direct method. Water rinses over the beans and removes the coffee flavor with the caffeine. This water is then run through methylene chloride to remove the caffeine. When the methylene chloride removes the caffeine, that solution is tossed aside. Then the beans soak in the flavor-filled water and restore their aroma. Unlike the direct method, this way never lets the bean touch the methylene chloride. Ethyl Acetate may sound like a scary chemical, but it appears organically in many fruits. It is a naturally-occurring chemical that also easily bonds with caffeine molecules. Often, when you see the term "naturally decaffeinated" on the label, this is the process the coffee underwent. First, the beans are steamed and swell. Then, the ethyl acetate washes over the swollen beans time and time again. With each rinse, more caffeine bonds with the solution and leaves the beans. Then, just to be sure that no ethyl acetate remains, the beans are steamed a final time. Overall, there are many ways caffeine can be almost entirely extracted from coffee beans. Each of these decaffeination processes is safe according to the FDA. Sip your java and enjoy. Can I Drink Decaf While Pregnant? 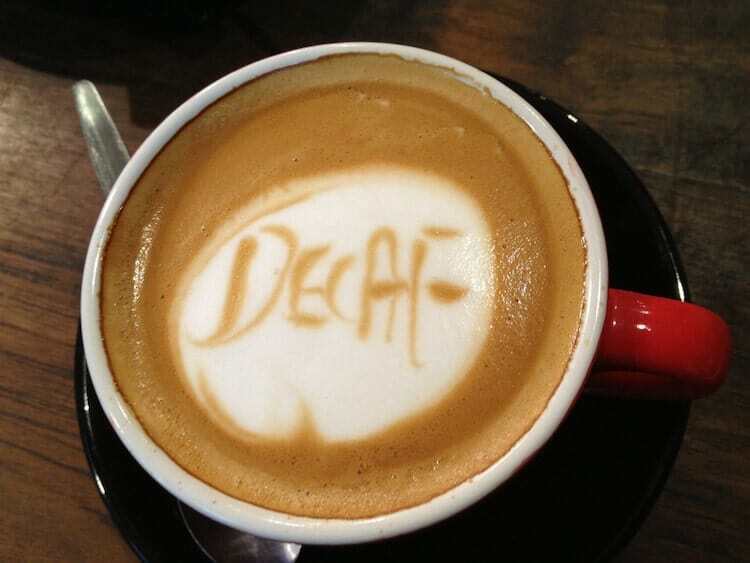 All four methods of decaffeinated discussed in a very logical and scientific way. I may try indirect method at my home. Thank you, Michael!